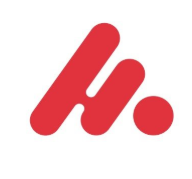 Hyperloot is airdropping a total of 5,209 HLT tokens to their community followers. Complete the following steps to receive your tokens. Complete the tasks mentioned in the bot. You can get a minimum of 1 HLT for every task. Submit “/eth” to the bot to submit your ETH address. Submit “/balance” to the bot to see your balance. You can receive up to 5209 HLT tokens. For more info see this Medium post.